For this weekend I have a stunning nail polish that was one of my top lemmings recently, and I was just so excited when I got to review it along with other beautiful shades from Dance Legend. This is a stunning shade from the sand textured collection, and probably the most beautiful polish of that kind I've seen. 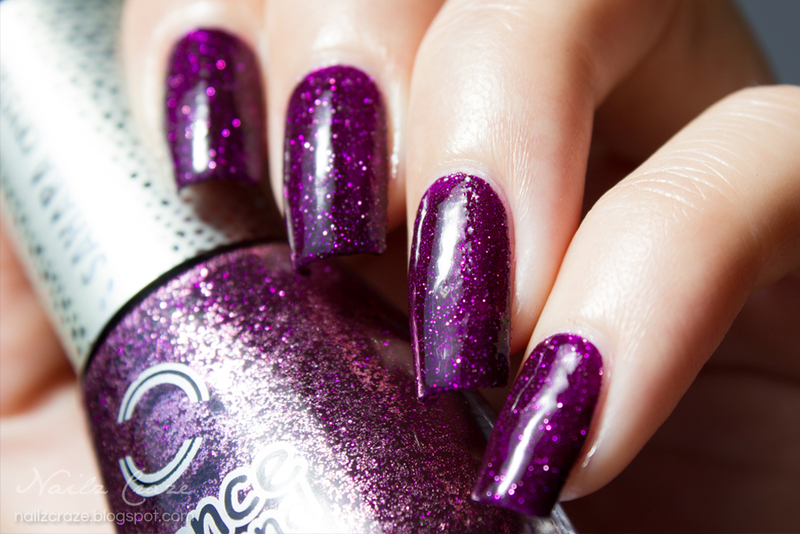 Dance Legend Amethyst (№16) from the Sahara Crystal collection is a deep purple shade with pink and violet micro glitter, that dries to a sand textured effect. The polish in the bottle doesn't really reflect how it will look on the nails (that looks like regular glitter polish in colored base), and the textured effect that you will get on the nails is just mind blowing. The formula of this polish was thick and very pigmented, but surprisingly easy to apply. I applied only one coat of the polish to the nails, and I received a great coverage. It dries quite fast so you will need to be quick with the application, to prevent bald spots. Once completely dry, you will get the sand like texture, that is quite smooth and isn't bumpy as other sand effect polishes I've tried. The combination of this unique finish with the gorgeous glittery color, is what drives me to the conclusion that this is the most beautiful textured polish I've seen so far. And if you thought it can't get any better, just wait and see how magical it is with a top coat! From swatches I've seen before, I knew it's going to be spectacular once a top coat is applied. It brings out the color and makes the polish sparkle even more. I applied two coats of Poshe for the photos below, but that wasn't enough for a perfect and smooth finish I desired, since sand / glitter polishes tend to "absorb" the top coat. Despite this, the polish still looked gorgeous and very sparkly. This one is now defiantly at the top of my favorites list. Even if you are not a textured polish lover, I bet this polish will easily change your mind. 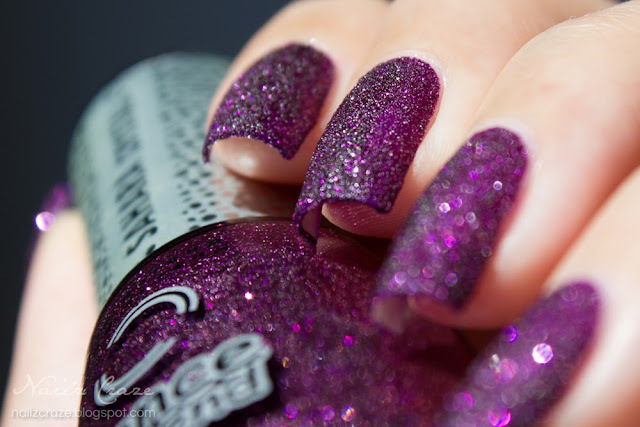 This polish will go straight to my wish list, its gorgeous!! Essa unha ficou um espetáculo..
Nossa, perfeito este esmalte, suas unhas ficaram umm show, amei!!! Tht is a seriously gorgeous polish!!! And the photogrpahy and swatch is even prettier! This is one gorgeous color! OMG when shiny... amazing. Ah! This is just too gorgeous for words!! Oh my gosh this is STUNNING! הוא פשוט הורס !!! אני חושבת שאני מעדיפה אותו ללא הטופ!! MeusDeusdocéu!!!!!! Que coisa mais linda do mundo, to embarcando amanhã mesmo pra Rússia! kkkkkk Meninas que unhas divinas, acabo de conhecer seu blog e nem preciso dizer que amei e estou seguindo. Ficaria muito feliz se vc me fizesse uma visitinha também! OMG look that color? Super pretty! I'm speechless :) And it even looks great with top coat! Do you own Carter from Zoya (Pixie dust) to make a comparison? They look similar from what I can see but my wallet can only afford one. איזה תמונות מדהימות. רק ראיתי את התמונות של הלק (עם/ללא טופ קןאט) ותוך מספר דקות הזמנתי את הלק .